With the OCZ RD400, Toshiba launches an NVMe-SSD for end users. The drive which is lying front of us appears to perform extremely well pumping out up to 2600 MB/s sequentially reading and 1600 MB/s sequentially writing. This definitely makes us wonder how much of that horsepower is available in real life. It’s not been too long that Toshiba acquired OCZ and after two and half years as a subsidiary of the electronics giant OCZ is not a subsidiary of anymore but Toshiba’s enthusiast SSD brand. A quick look at the packaging clearly shows that since now “Toshiba” is printed on the box art as well and it stands in front of “OCZ RD400”. Talking a bit more about the name: if you’ve been following the news you might have picked up that OCZ initially planned to launch die RevoDrive 400 (now RD400) almost a year ago. But apparently that didn’t happen and it looks like Toshiba decided it would be a good idea to kick off the OCZ sub brand having a powerful flagship product in their portfolio. Diving a bit deeper into the technical aspects of this drive, we find almost no information at all about the controller Toshiba is using on this drive (TC58NCP070GSB). So far it’s being assumed that on the Trion/TR drives, Toshiba decided to rebrand a Phison S10 controller and therefore it could be possible that the OCZ RD400 is also based on a third party controller. In such a case it would be most likely that a Marvell 88SS1093 has been used, which features three cores and eight channels. With the OCZ RD400 Toshiba is the second vendor having a M.2 NVMe SSD in its portfolio. So far only Samsung offered such a product with their 950 Pro and it’s good to see there is finally some much needed competition in this niche. Comparing the offerings from the two vendors only Toshiba offers a 1 Terabyte model for now. Apart from that the OCZ RD400 should be blisteringly fast according to the specifications. What’s also interesting to know about the OCZ RD400 is the fact, that it’s basically the same drive you can find in Microsoft’s Surface Pro 4. In there you find an OEM version, which goes by the name Toshiba XG3 M.2. The only differences between the two drives concern software and warranty. The OCZ RD400 supports “SSD Management Utility” (formerly OCZ SSD Guru) and it also benefits from five year “Advanced Warranty” (formerly Shield Plus). 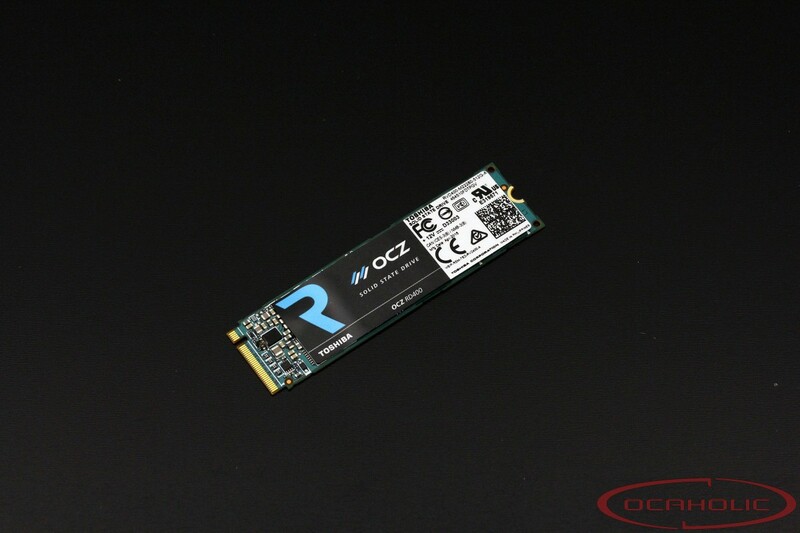 Furthermore there is the option to buy the OCZ RD400 in combination with a PCI Express adapter card. Regarding the SSD Management Utility only cosmetic changes to the user interface have been done, otherwise it’s the same software like OCZ SSD Guru was. A quick look at the NAND flash memory used on these drives, we see Toshiba is using 15nm chips. Regarding the single-sided models up to 512 GB capacity is possible, whereas the double-sided M.2 drive features 1 Terabyte. Meanwhile the endurance of solid state drives isn’t anything that could be concerning, since recent controllers are capable of carefully allocating resources and therefore the vendors became increasingly confident regarding their TBW (Terabytes Written) figures they communicate – as you can see in the table above.